Mumbai: 'Unusual' cash deposits totalling Rs 1.6-1.7 lakh crore were made during the demonetisation period, says a research paper posted on the RBI website. In nominal terms, it said, the excess deposits accrued to the banking system due to demonetisation are estimated in the range of Rs 2.8-4.3 lakh crore. 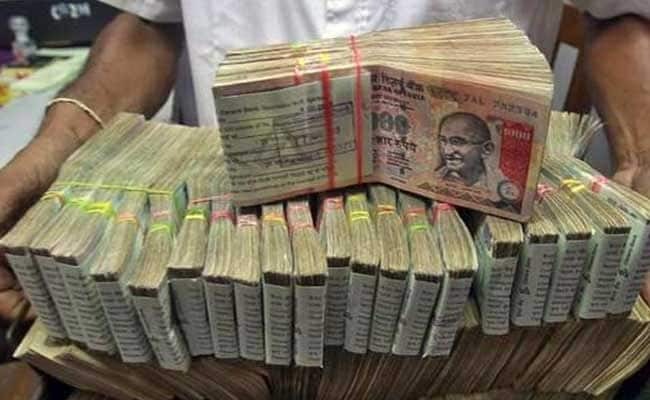 "The 'unusual' cash deposit in specific accounts, which are usually less active, is estimated to be in the range of Rs 1.6-1.7 lakh crore," according to the paper, 'Demonetisation and Bank Deposit Growth'. Prime Minister Narendra Modi on November 8 had announced demonetisation of Rs 1,000 and Rs 500 notes valued at Rs 15.4 lakh crore and constituting 86.9 per cent of the value of total notes in circulation in a major assault on black money, fake currency and corruption. The paper is authored by Bhupal Singh and Indrajit Roy who are directors in the Monetary Policy Department and Department of Statistics and Information Management, respectively. It said that excess deposit growth in the banking system during the demonetisation period (November 11, 2016 to December 30, 2016) works out to 4.0-4.7 percentage points. If the period up to mid-February 2017 is taken into account to allow for some surge to taper-off, excess deposit growth is in the range of 3.3-4.2 percentage points, it said. "Considering some more temporal tapering of deposits, the exercise taken up to end-March 2017 reveals that excess deposit growth would be in the range of 3.0-3.8 percentage points," the paper said. According to the paper, aggregate deposits grew by 14.5 per cent (y-o-y) during the period November 11 to December 30, 2016, as against 10.3 per cent during the corresponding period of 2015. Overall, there appears to have been a significant increase in bank deposits due to demonetisation, the paper said, adding, "which if sustained, could have favourable impact on financial savings and their channelisation to capital markets." A separate research paper titled 'Financialisation of savings Into non-banking Financial Intermediaries' said that demonetisation appears to have led to an acceleration in the financialisation of savings. The research paper is authored by Manoranjan Dash, Bhupal Singh, Snehal Herwadkar and Rasmi Ranjan Behera; all work at Reserve Bank of India (RBI). The paper also pointed out that in parallel, there is a shift towards greater formalisation of the economy in the near term aided by the introduction of Goods and Services Tax (GST) and regulations such as the Real Estate (Regulation and Development) Act, 2016 (RERA) and the Benami Transactions (Prohibition) Amendment Act, 2016. "These developments may also incentivise greater shift from physical to financial savings," it said.